Who doesn't love tacos? Who doesn't love Taco Tuesday? Celebrate your love for this crunchy treat and wear these bad boy proudly. 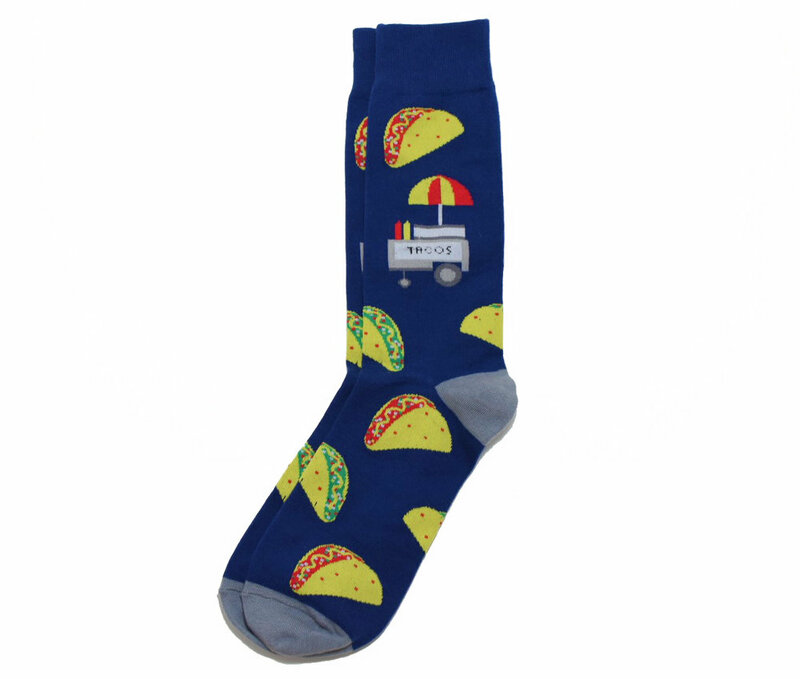 Go ahead and have one, two or five tacos this week (while wearing your taco socks of course)! Wear these socks with a equally fun pants and shoes!